One doesn’t have to look far in “Horsefeathers Swathed in Mink” to find today’s “resonant equivalents” referred to by Remnick. Liebling opens the piece by juxtaposing the still-common “neediest cases” articles that appear annually in the back sections of newspapers with the year-round front-page attacks on the “Undeserving Poor.” As an example of the anecdotal “welfare cheat” used to criticize poverty relief programs, the largely fictionalized “Woman in Mink” (soon promoted to “Lady in Mink”) dominated the front pages of every newspaper in New York City for a brief period in 1947. 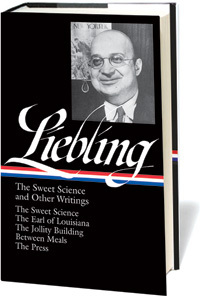 In his column Liebling revealed the truths behind the myth (or, one might say, the mange behind the mink), and he particularly directs his debunking efforts at the usually staid New York Times. Although he is careful to acknowledge that “exposures of maladministration can only be welcomed by the citizenry,” he insists that “such inquiries must be conducted on the basis of fair play and sound judgment” and, above all, with a regard for the facts. Notes: The “report of the President’s Committee on Civil Rights” referred to on page 751 recommended an end to segregation in the military and the passage of other significant civil rights measures. The “young American actor” Penrod Schofield, mentioned on page 756, is a fictional character in a novel by Booth Tarkington. Tommy Manville (page 758) was a wealthy New York socialite perhaps most infamous for his thirteen marriages to eleven women. PM was a liberal daily newspaper in New York, published from 1940 to 1948. There is no concept more generally cherished by publishers than that of the Undeserving Poor. Newspapers may permit themselves a bit of seasonal sentimentality, like the Times’s 100 Neediest Cases at Christmas-tide or the Herald-Tribune’s Fresh Air Camps in summer, in which their readers are invited to send in money while the newspaper generously agrees to accept the thanks of the beneficiaries. . . . If you don't see the full story below, click here (PDF) or click here (Google Docs) to read it—free! The Lady in Mink - fascinating how she had thousands at one point and then able to get state help! What a good article! I surely felt like this was an "awakening" I needed, to remind me that media has the power to distort things and how a story like, "A Lady in Mink," although long ago printed, becomes generational folklore, commonly used evidence to support ideas of who the poor really are, how the welfare system in ineffective, etc.